A football roster is like a human body. The quarterback is the brain, the running back is the heart, and the secondary responds nimbly to stimuli like a nervous system. It is, however, the offensive and defensive lines that form the spine. Seattle has done nothing to strengthen their backbone this offseason. They are weaker on the offensive line for the moment, but it is their lack of attention to the defensive line that could haunt them in 2016 and beyond. The average fan thinks about next year. NFL general managers work off of three year plans. John Schneider has some serious challenges coming up over the next two years on both the offensive and defensive lines. Both Mebane and McDaniel will be 31 after their contracts expire, so there is no guarantee they will be the right players to extend. Okung stands to make a lot of money, but has been injured enough that it would be hard to give it to him. Those are three key positions that stand a 50/50 shot of needing to be filled with a new person after this next season. Seattle has weathered losses of talent before by having a great succession plan in place. They either sign a player a year early or develop talent from the draft. Cornerback is a great example of that. Some positions, like linebacker or running back, allow for less future thinking as rookies can step in and make an immediate impact. 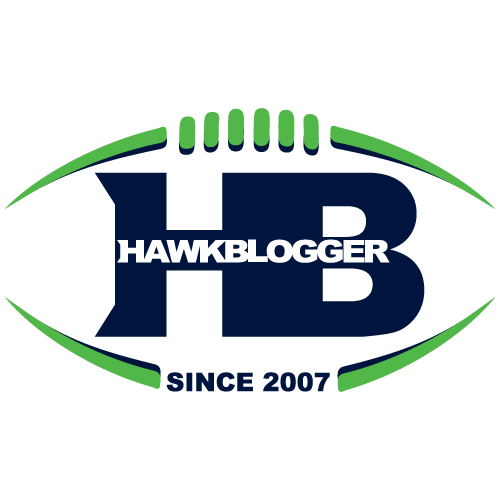 The Seahawks do not appear to have a viable replacement on the roster for any of the five players whose contracts expire after this season, and the problem was made worse when they traded their center who was under contract through the 2016 season. Schneider could have optimized for the long haul by either cutting both Mebane and McDanield this year or simply moving on from one of them. The team could have saved $5.5M against the cap by cutting Mebane and $3M from McDaniel. Replacing at least one seemed like a foregone conclusion considering the bumper crop of defensive lineman available in this free agent class. Curiously, Schneider has stood pat. Darnell Dockett signed a 2 year deal for $7.5M and only $2M guaranteed. Terrance Knighton signed a 1 year deal for $4M. Nick Fairley signed a 1 year deal for $5M. Stephen Paea signed a 4 year deal for $21M ($5.25M/year) and $7.85M guaranteed. These are different types of defensive tackles at different points in their careers. Knighton and Fairley took Schneider-esque 1 year deals that work well for both the player and the team as a trial run. It worked out pretty well with Michael Bennett. Counting on the front office to all-of-sudden hit it big at defensive tackle in the third or fourth round of the draft is wishful thinking. They have done better identifying known quantities like Alan Branch, McDaniel, Bennett and Kevin Williams through free agency that fit their system. And that is just on the defensive line. The Jimmy Graham trade, coupled with the James Carpenter departure has left a gaping hole in the offensive line right now, let alone after this season is over. Mike Iupati, one of the best run blockers in the NFL, signed for 5 years and $40M with $22.5M guaranteed. Orlando Franklin, who can play guard or tackle, signed a 5 year deal worth $35.5M with $15.5M guaranteed. Clint Boling signed for 5 years and $26M with $5M guaranteed. Part of the reason I disliked the Graham trade so much was it shifted risk from a skill position to the offensive line. This is a team that should know that risk at tight end and receiver is far less worrisome than further weakening an offensive line unit that needed reinforcements to begin with. They should have won two straight Super Bowls without a Pro Bowl pass catcher. They will have trouble winning in the playoffs if their line is significantly worse than it was last year, assuming they get that far. Redskins General Manager Scot McCloughan has demonstrated time and again that he knows how to prioritize the defensive and offensive lines in building championship caliber teams. He brought in Justin Smith and Ray McDonald in San Francisco. He helped to draft Joe Staley, Mike Iupati and Anthony Davis. It was no surprise to see him be responsible for two of the four deals I called out along the defensive line above and be praised for frugal shopping. Paea and Knighton will cost about $1M more next year than McDaniel and Mebane, and both could wind up as long term solutions for Washington. Arizona was 9-1 last year before falling apart and have added Corey Peters for 3 years and $9.15M, Cory Redding for 2 years and $6M, and Iupati for the big bucks mentioned earlier. I think they will miss Dan Williams more than some realize and believe Dockett is a superior player to Peters or Redding, but they are rightly prioritizing the trenches. St. Louis already has a fearsome line, and now they put Fairley alongside Aaron Donald for what has to be one of the best interior line combinations in football. Fairley has some legitimate questions to answer about durability and motivation, but the Rams are protected with just a single year contract for less than what Mebane will make this year. Schneider is no fool. He knows the team is facing serious roster issues on the offensive and defensive lines and will undoubtedly take steps to shore those up. The question is whether he missed out on great opportunities to keep the spine of this team strong by prioritizing other positions like running back, tight end and cornerback and hanging onto players like Mebane and McDaniel who may be done in Seattle after this season. Players like Jordan Hill and Cassius Marsh can grow into terrific talents, but neither of them are well suited to replace either Mebane or McDaniel. Seattle has to either find some great young defensive line talent in the draft, which they rarely do, extend a 30-year-old Mebane beyond this season, or hope they can find players they like in free agency next year. Schneider needs to make a decision on the future of Okung, and it better be a great one as the team has nobody near his quality level in the system right now. And now he must also find a center and guard. These are not the areas of the team I would want to see the Seahawks take on so much risk, especially given the positions that were addressed instead. I would have much rather seen the team sign Walter Thurmond for $3.25M at corner than Cary Williams at $6M per year for three years. That price tag surprised me. Jordan Cameron instead of Graham would have cost less, left fewer holes on the line and kept a first round pick to play with. How Schneider handles the next two years on the lines will have a massive impact on the ability of the team to sustain their level of play. Pete Carroll and Schneider yearn to recreate what someone like Bill Belichick has done in New England, and would be wise to take note of how easily he parted with key members of his championship roster this offseason including Vince Wilfork, Brandon Browner and Darrelle Revis. Holding onto the past for too long only ensures a degraded future. Who the %!&$ is Jimmy? There's still a ton of offseason left. You're assuming that neither Mebane or McDaniel will be cut. It's too early to make that assumption. There are still free agents out there, and there will be more available at cut down time. Plus, just because this regime doesn't have a great track record drafting defensive linemen doesn't mean they should stop trying.